We offer custom garage designs for RV storage, cars, trucks, farm equipment and more. Quality material and plans design for your jobsite come with each kit. Simplified construction with staging lists by wall section, plans with all construction details down to the last fastener. APB provides custom garage kits, RV Storage kits and packages specifically tailored to your needs. We engineer each building to provide exceptional strength, value, and aesthetic appeal. Garage kits come with DIY oriented structural building plans and cut lists to make erection a snap for anyone with carpentry experience. 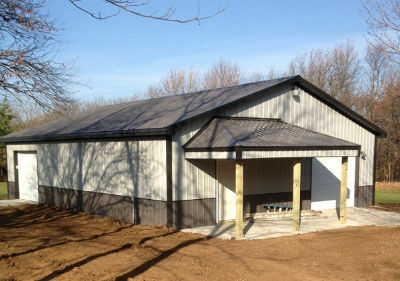 Why Build A Pole Barn Garage? UC4B treated posts only. 50 year rot warranty on laminated posts. 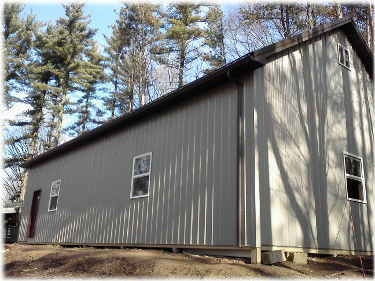 A post frame building with steel siding and roofing offers strength from a diaphram design affording protection from high winds. 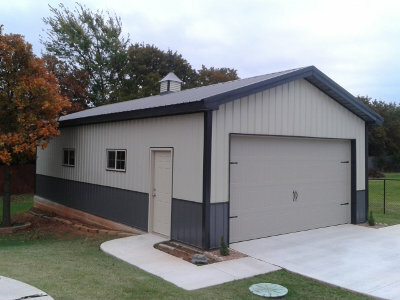 Your garage kit comes with high quality metal siding and roofing featuring a maintenance free exterior with a 40 year manufacturer warranty on the paint system.